Stephen’s goal is to provide forward-thinking legal counsel that incorporates both the vision of the client and the stakeholders involved. Only by fully understanding this vision can optimal decisions be made and the appropriate strategy designed and executed. More often than not, the views of stakeholders can vary. In many situations, effective and efficient results can be obtained simply by using sound business judgment once those perspectives are synthesized, understood and then leveraged. As a result, Stephen helps his clients to develop shared values in terms of policies and operating practices that enhance the competitiveness of the company and create synergy with the organization, as well as advance the economic and social conditions in which his clients operate. Stephen is dedicated to designing solutions that incorporate three major considerations. First, decisions should be made which are acutely focused on the overall organization and objectives of the client, including the multiple stakeholders involved in the decision-making process. Second, legal counsel must incorporate both long- and short-term objectives. Finally, providing IP services should always involve the recognition of trade-offs between the desired result and economic considerations. Stephen is committed to consistently delivering such multi-dimensional advice. With respect to medical devices, Stephen is a trusted expert who minimizes risk while promoting innovation. He regularly conducts due diligence investigations for clients in the medical device space, lending his focused, critical skills to a highly-litigated, highly-visible and high-margin industry. When litigation becomes necessary, he assembles and directs a team of veteran attorneys with a record of achieving success in complex, large-scale proceedings. He also works to establish intellectual property policies for large entities as well as IP holding companies that help them define success — and then achieve it. Stephen has spoken to the American Intellectual Property Law Association and other bar associations about recent developments in intellectual property law. Stephen Foss has been a Principal at Harness Dickey for more than twenty years. His experience includes both the management and implementation of virtually all facets of intellectual property law. He is proactively involved in his clients’ innovation strategies, helping them build and refine larger business goals that maximize the value of their patent portfolio while deterring litigation. 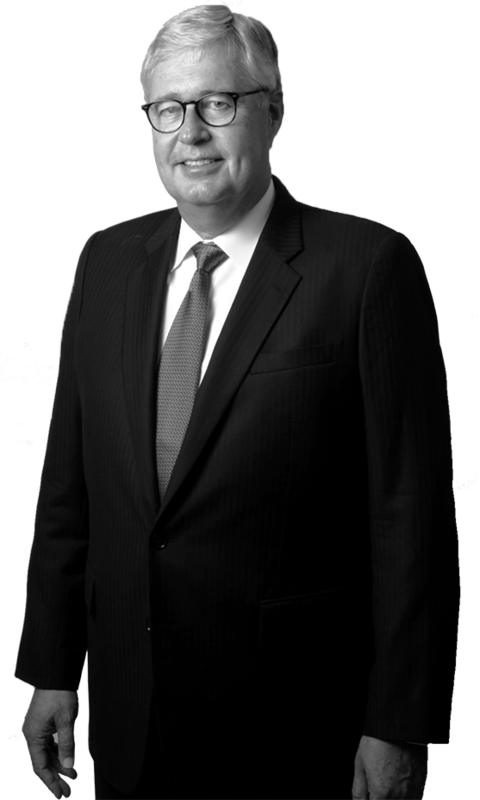 His practice is aimed at protecting and growing IP assets and is backed by substantial legal experience. Stephen’s primary area of specialization concerns the application of intellectual property rights to medical devices. He currently works with global manufacturers of medical devices, including surgical devices, diagnostic equipment, and other medical and surgical equipment. Businesses come to Stephen when they need a dedicated professional with a tested and proven record who can deliver success and champion the societal benefits inherent in their technologies.